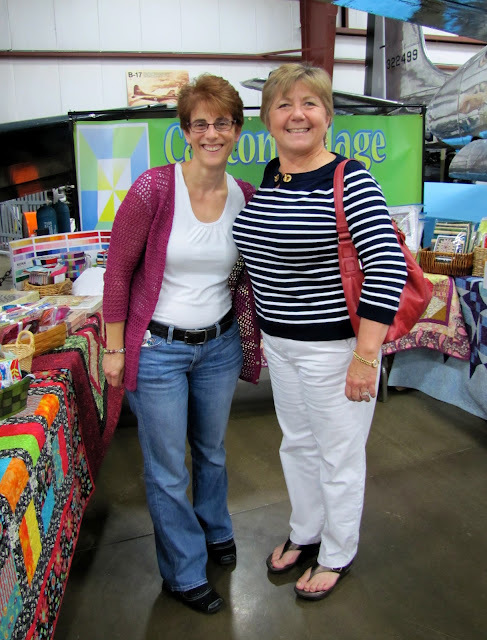 Saturday was a great day at the Things With Wings Quilt show!! Lots of friendly faces stopped by my booth to say hello and for a little retail therapy. 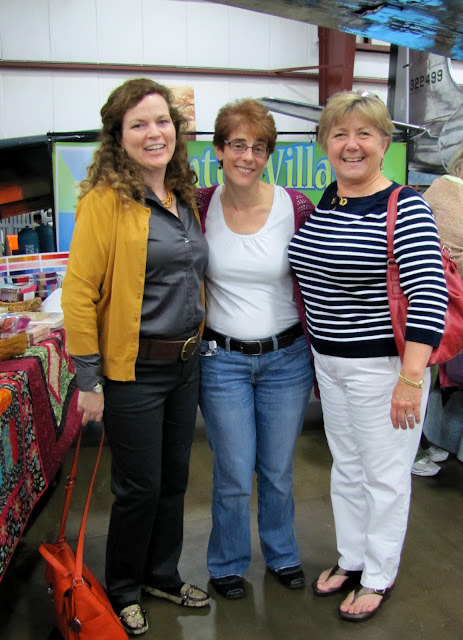 It was good to see Evelyn and Stephanie! Loved the pink camera Stephanie and the pink bag Evelyn!! Good to see you! Today I set up my banner behind my booth. Can you tell who this booth belongs too??? My friend Deb Tucker from Studio 180 Designs stopped by, what a talented and fun lady. If you are not familiar with her, you need to be. I sell all her wonderful rulers and patterns here in the shop! She is the designer behind the Rapid Fire Hunters Star Ruler!! The fabulous Marie Bostwick was here too! She kicked it with her lecture today. You make me laugh and smile.... love you! Here she is doing her thing!! The crowd was all ears and had wonderful compliments all around! Today is the last day of the show and Sue Reich will be giving two lectures! One at 11:00 and one at 2:00. Stop by and see the quilts and hear the lectures. Rave reviews have been coming in about the show... don't miss out!